The global workforce has undergone a dramatic shift – this is not news, but the millennials are 80 million strong in the workplace so it’s important to understand this population and how to effectively lead and work with them. Millennials get a bad rap in the workplace. Words often used include entitled, narcissistic and having unrealistic expectations. But, as a millennial myself, I believe that we should stop labeling this population and reexamine these often negatively charged characteristics and see them as positive attributes. As argued in my 2015 DisruptHR speech, “Stop Bashing the Millennials. 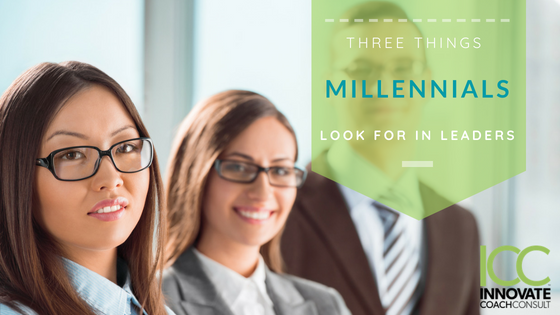 Take Them from Blue Ribbon to Badass Employees” here are three things that millennials look for in a leader. Loads of Feedback: Give it to me straight. This is not a way to caress a millennial’s oversized ego. They crave feedback because they want to do better and perform their best. Feedback and praise is free – so let’s use it. Train your leaders and managers on how to give more effective feedback, and if your employees don’t deserve feedback and constant praise then maybe it’s time to determine whether or not they are the right employee. Clearly Show me the Way. Millennials get a bad reputation for job hopping and looking for their next opportunity the minute they are not promoted quickly enough. However, business strategies in today’s marketplace are typically only 7-10 years, so a career for 3 to 5 years could alternatively be seen as successful. Help me to extend this from 5 to 7 years by clearly showing millennials the way. Be transparent by publishing career paths within the company and then offer me mentoring, training and development on how to reach this next level whether it is up or lateral. See the BIG Picture. Millennials have a deeper need to understand how their role connects with the greater mission and vision of the company. They also have a greater need to give back to the community, society and the world. Leaders should continually remind millennials of their contributions and how these connect to the strategic objectives and mission of the organization. I might argue that these three suggestions are important to overall employee engagement and all employees regardless of generation, but these may be particularly important for the generation that will make up 85% of the workforce in 2025.